Last month, we encouraged all practitioners to update their profile on the APTA website. This month, we have decided to walk you through how to do it. Why? Because, your appearance means a lot! If you were looking for a Doctor and researched him or her on the web and found a half-written profile, would you give him or her a second look. Most likely not. Then why would anyone wishing to make contact with you regarding your Polarity Therapy training give you a second look if all they see if your name and credentials? Listed below are steps to walk you through making the most of your profile on at the APTA website. We know that time is of the essence, however, encourage you to take a few moments to stand out as the professional that you are. 1)	Log into your profile by accessing www.polaritytherapy.org and click on member log in. 2)	Once you appear at the Member Area, enter the email that is on file with APTA (please note that if you use another email address other than what is on file, the system will not recognize you) along with your password. 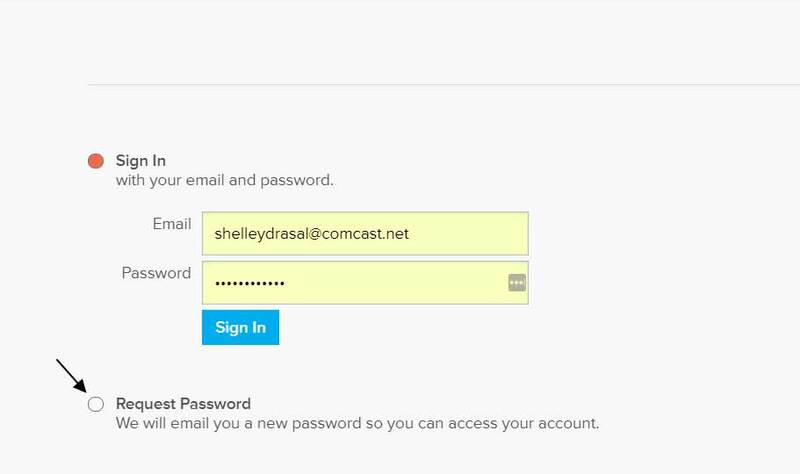 If you are unaware of your password, click on request password and one will be immediately emailed to you. 3)	Once your logged in you will see the about page, this has all of your information that we have on file. (please note that it is important that we have your updated phone, address and email in order to communicate with you regarding your membership). When updating this information, don’t forget to click, the save & continue button at the end. 4)	Next, click on the profile tab. This is where you can select options to show or hide certain information in the online directory. 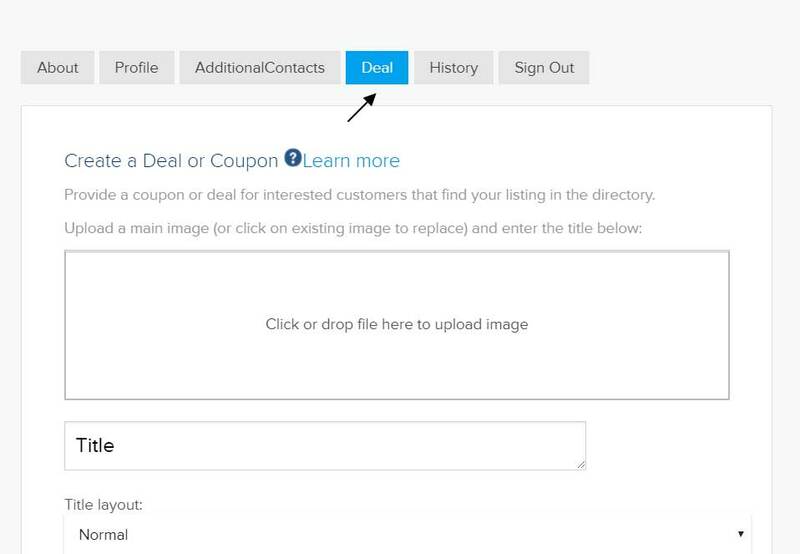 You can also scroll down and add a business card, upload images into your profile gallery, add a description to your profile gallery, and add your social media links. 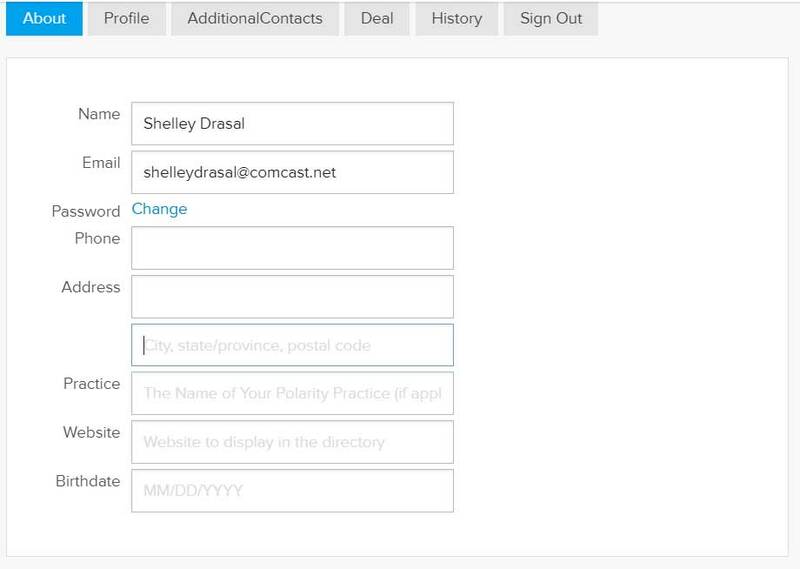 5)	If you would like to add a business address to your profile, click on the Additional Contacts tab. 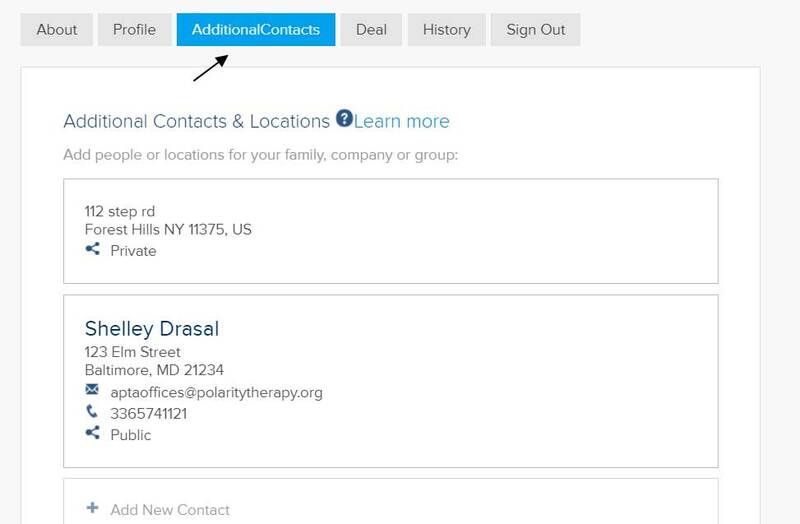 You can control each contact by making it private for only APTA to see or public for listing in the online directory. 6)	Are you offering a special promotion. You may add this to your profile by clicking on the Deal tab. And again, when making any additions or changes, DO NOT forget to click the save&continue button at the bottom of each screen. We hope that this little tutorial helped and that we will see more profiles updated. Each week, we receive calls and emails from potential clients and students who are asking for additional information. Will your information be easily accessible? Take the challenge and update your profile.